UV Stabilised reinforced tube. Poly couplings. Sizes Available: 25, 32, 38 and 50mm. 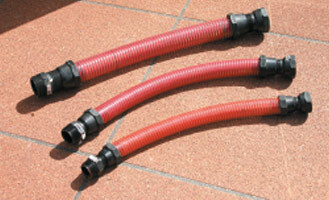 Provides flexible plumbing from your poly tank to the pump and eliminates stress caused by movement.